Caritas Swaziland programme amongst other interventions, deals mainly with impact mitigation for those households that have lost their economically active heads. Since its inception, its mandate is to respond to the ever increasing number of orphaned and vulnerable children in Swaziland. It has assisted orphans and their families, predominantly in rural areas to live happy, normal and productive lives as part of the mitigation strategies against the impact of HIV and AIDS. This program implements interventions mostly in rural areas. Since 2011, the program has assisted orphaned and vulnerable children with the construction of two-room housing structures countrywide. 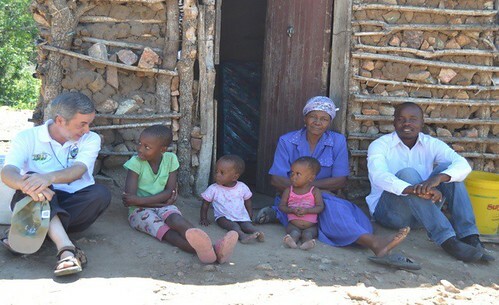 Targeted beneficiaries are orphaned children that are family heads and also those that stay with grandparents who cannot afford to build a decent house for their families. To date, 147 houses have been constructed benefitting a total of 892 of the most vulnerable people. Currently, there are 5 (five) houses under construction at Magubheleni, Maphungwane, Hlutse, Gucuka and Lavundlamanti communities. The houses have been constructed with assistance from Homeplan in the Netherlands. Assistance from people of goodwill is also greatly appreciated to continue this noble task of assisting the most vulnerable people in the country.